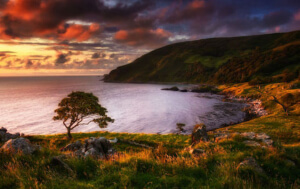 The above picture, taken from the end of the Dingle peninsula, is of the Great Blasket Island. It's the largest of the small group of islands off the westernmost point of this westernmost peninsula in Ireland. The elegant, curving beach is called The White Strand. People here don't talk of going 'out' to the island. They say they're going 'into' it. 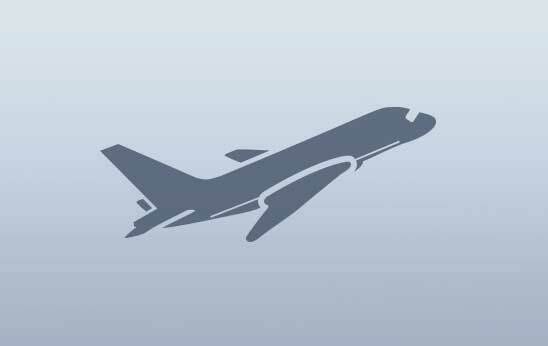 It's a form of words which suggests that a trip there isn't just another holiday stop-off. It's a voyage into the heart of something remarkable. The islands are uninhabited now; the last people who lived there moved to the mainland in the 1950s: isolation and emigration had made their life unsustainable. 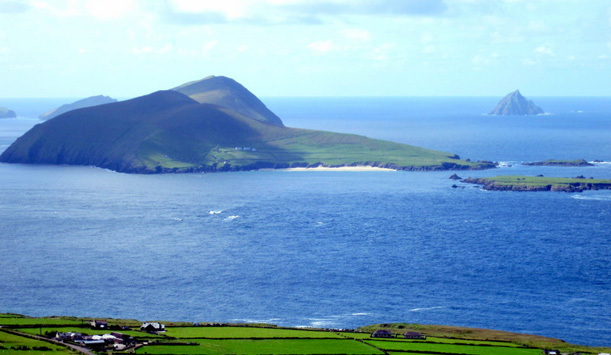 Today, you can get to the Great Blasket by ferry from Dún Chaoin pier. You reach the pier by walking down a steep, winding slipway. To your left, it clings to the cliff face. To your right, a low wall protects you from the long fall to the Atlantic ocean below. When you get to the bottom you'll see the remains of an even steeper path, leading up the towering cliff beside you. There was a time when fishermen here climbed that crumbling path with their catch carried in baskets on their backs. When you reach the island you step from the ferry onto another slipway, and climb to a high, grassy road that leads to an abandoned village. 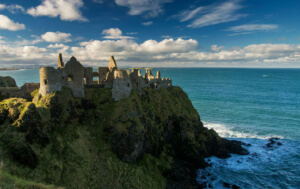 The half-ruined houses, built of field-stones, cluster together against the Atlantic wind. Some are built so closely against the hillside that their roofs were on a level with the stony green fields. Higher still, at the edge of a dizzying cliff, you can lie on cushions of sea-pink and look down on the White Strand. The islanders used to dance there on summer evenings. The last time I was there the sun was blazing, the beach below looked luminous and the ocean was a dazzling silver sheet. On days like that it seems impossible to believe in long months of howling wind and darkness. But in winter the islanders were cut off from the mainland for weeks at a time. Often close to starvation, they lived closer than family and all they had was shared. 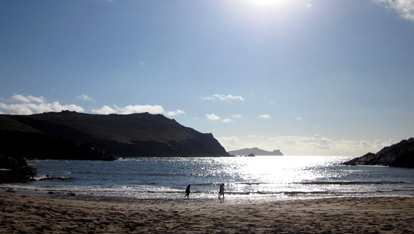 If you come to the Dingle Peninsula you can visit the Blasket Island Centre, in mainland Dún Chaoin, and find out more. But before you visit the island, read the books. They came from farmers and fishermen like Tomás Ó Criomhthain, whose memoir An tOileánach (The Islandman) has become a classic; from Muiris Ó Suilleabháin whose book Fiche Bliain ag Fás (Twenty Years A Growing) tells how he was raised on the island by his grandfather before leaving to work on the mainland; and from Peig Sayers, whose memoir, dictated to her son, reveals the islandwomen’s resilience, humour and courage. And 2013 sees the publication of the latest island memoir, from ninety-three year old Mike Carney, whose book From The Great Blasket To America describes his island childhood, the heartbreaking stories of its dwindling community in the 1940s, and his life in Springfield, Massachusetts, where many Blasket emigrants have put down new roots. 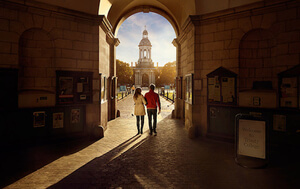 At the heart of each book is a love for the beauty of the writers’ surroundings, a profound respect for their cultural inheritance, and a powerful depiction of community. Several were published with the help and encouragement of visitors to the island, some of whom came to study the Irish language. And some visitors wrote about their experience: in the English author Robin Flower’s wonderful book, The Western Island, the author’s love and respect for the place he discovered as a student shine out of every page. 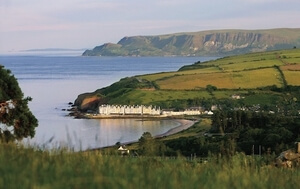 My own memoir The House on an Irish Hillside tells the story of my lifelong love for this western end of the Dingle peninsula, where I too first came to study Irish. One of the proudest moments I’ve had since its publication was seeing it in a bookshop alongside the works of Tomás Ó Criomhthain and Peig Sayers. To tell the truth I was also slightly horrified that my work should be there between those giants. But then I remembered the islanders’ legendary kindness to strangers, and how storytelling was the lifeblood of their community. So I hoped they wouldn’t mind. 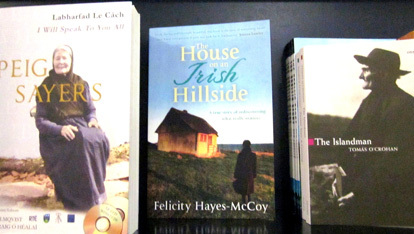 The House on an Irish Hillside by Felicity Hayes-McCoy is available in bookshops, and from online outlets in print and ebook editions. A new paperback edition will be available Summer 2013. Check out the book's FB page for reader comments, stunning photos and reviews.